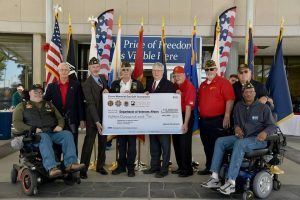 The American Legion is the world’s largest veterans organization, made up of men and women who have served in the U.S. military during an official period of conflict. 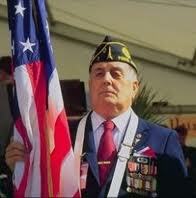 Through dedicated volunteers, we focus on veteran’s rehabilitation, patriotism, child welfare, and national security. The American Legion Cecil Cox Post 147, based in Clovis, California, was originally named after the first Clovis serviceman to be killed during the war. The Clovis post was chartered March 3, 1921. Cecil Cox Post 147 sponsors the California Boy’s State, Youth Environmental Leadership Conference, Boy Scouts of America, American Legion Baseball, Central California Veterans Home, Operation Comfort warrior, Fresno Veterans Hospital, Golden Age Games and more. Cecil Cox Post 147 also honors Memorial Day by co-sponsoring a memorial service with the Veterans of Foreign Wars at the Clovis cemetery on Villa Ave.
Our Christmas Dinner was very attended and we raised $1,023 in cash, checks and toys for the Marine Corp Reserve’s “Toy for Tots” program. We raised $1,200 during our bell ringing for the Salvation Army. Our Legion Post building is now 101 years old now. Work continues on rebuilding our basement kitchen as a result of a bit of a flooding problem. We will a new kitchen when done. We continue to modernize our Post and now have Wi-Fi. In the next few months, we have several events coming up which are important to the Post. We are hosting the Post, District, Area and Department Oratoricals starting in January. The Quilts across America event is in February. This is the first time we are hosting this event and it should prove very educational and interesting. In April, we have both “Big Hat Days” and the Clovis Rodeo. In May, we are hosting the Veterans Memorial Golf Tournament and the Memorial Day ceremony at Clovis Memorial Cemetery. None of these events would be possible without the tremendous support from our members. I can honestly tell you that our Post is extremely highly regarded in our community. I encourage all of you to continue your support and want to thank you personally for the tremendous job you continue to do to support our veterans, veteran organizations, youth and community.